Abby Johnson is the head of Children’s Services at the New Albany-Floyd County Public Library in Indiana. Find her on the web at abbythelibrarian.com. Teen books get a lot of buzz on the blogosphere. I mean, a LOT. And there are truly awesome books being published in this Golden Age of YA Lit. But there are also some awesome middle-grade books being published. If you’re missing these books, you’re missing out on some great reading. Today I wanted to share some of my favorites for whatever kind of mood you’re in! These are a mix of fiction and nonfiction, older and newer, and all are great for dipping your toes into the middle-grade water. 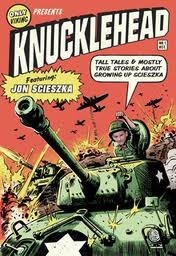 Knucklehead: Tall Tales and Mostly True Stories About Growing Up Scieszka by Jon Scieszka. The hilarious author behind picture books you might know (The Stinky Cheese Man and Other Fairly Stupid Tales, The True Story of the 3 Little Pigs) has written a memoir about his adventures growing up with five brothers. Smile by Raina Telgemeier. When she was in the sixth grade, Raina fell down and smashed her teeth, an unfortunate incident that put her through various forms of dental procedures for the next several years. It’s bad enough facing junior high without being hyperaware of every smile! This full-color graphic novel is a delight from beginning to end and it’s a favorite with kids; we rarely have it on the shelf! Rapunzel’s Revenge by Shannon & Dean Hale and Nathan Hale. You know the story of Rapunzel, right? Well, in this Wild West retelling, Rapunzel rescues herself from the tower and then sets off to get revenge against the witch who put her there. Along the way she runs into Jack (you know, the beanstalk guy?) and they team up on the adventures. Titanic: Voices from the Disaster by Deborah Hopkinson. This is a book about The Titanic that’s unlike any other. Using many survivors’ accounts, Hopkinson brings the disaster to life using the words of people who lived through it. Even if you’ve read many books about this famous ship, this is an adventure you won’t forget. 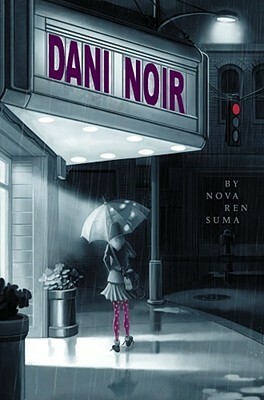 Dani Noir (also published as Fade Out) by Nova Ren Suma. Thirteen-year-old Dani has a rough summer ahead of her. Her parents are getting divorced and her best friend is AWOL. Luckily, the little film house in town is showing film noir all summer. Dani loves the femme fatales and when she senses a mystery brewing, she decides to investigate. But is there anyone Dani can trust? Dani’s voice is just perfect and even though she’s dealing with a lot of issues, there’s a lot more to the book than that. Secrets of a Civil War Submarine: Solving the Mysteries of the H.L. 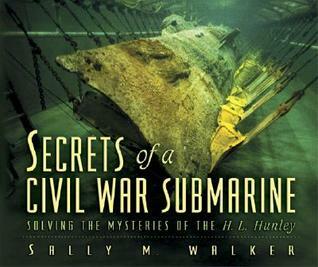 Hunley by Sally M. Walker. The H.L. Hunley, the first submarine to ever sink another ship, was lost (along with her 8-man crew) off the coast of South Carolina in 1864. Although both sides searched for her, no one was able to find her… for over 100 years! And when researchers brought her up from the ocean in 2000, the sub had many secrets to share… if scientists knew how to look… This is a fascinating look at forensic archaeology and a bit of Civil War history that you might not know. 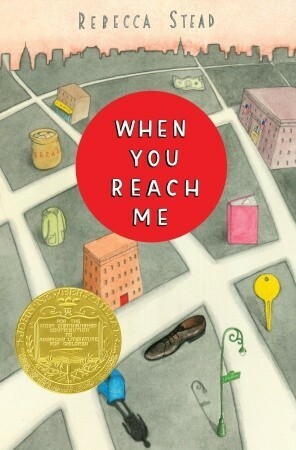 When You Reach Me by Rebecca Stead. It's 1978. Twelve-year-old Miranda lives in New York City, walking to school each day with her best friend Sal and reading A Wrinkle in Time more times than she can count. But everything changes when Miranda starts finding notes left for her in strange places. Notes that caution her not to tell anyone about them. Notes that seem to predict the future. And if Miranda can figure out who's leaving the notes and what they're telling her to do, she might be able to prevent a tragic death. For me, this book brought me back to the novels I read as a child – that late 70s New York setting is done so perfectly. And there’s a twist at the end that I definitely didn’t see coming! 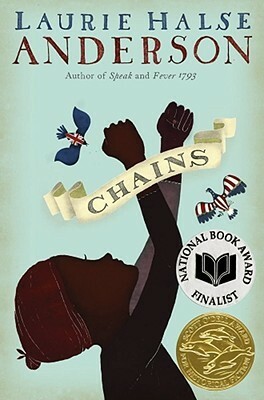 Chains by Laurie Halse Anderson. How could Americans fight for their freedom while they still owned slaves? It’s 1776 and Isabel is a slave who has just been sold to the Locktons, a Loyalist family in New York. If she spies on the Locktons, she could earn her freedom, but it turns out it’s not as easy as she thought, and Isabel realizes that she’ll have to seize her own destiny if she’s ever to break these chains. 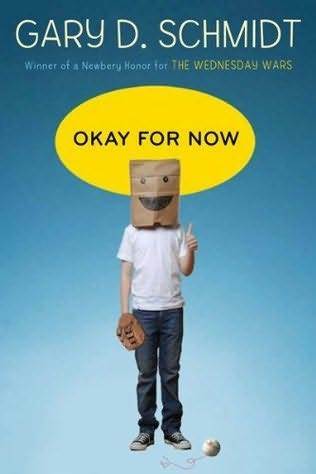 Okay for Now by Gary D. Schmidt. It’s 1968 and Doug Swieteck has just moved to a new town with his family. Life’s not easy for him; no one expects much of Doug and Doug’s never sure what to expect from his volatile father or brothers. As Doug tries to navigate the side of his personality that would turn him into a bully like his father, he’s just hoping that everything will turn out okay… for now. This book broke my heart about 17 times and patched it back together each time. I agree that middle grade books are awesome and don't get the buzz they deserve. I loved When You Reach Me. I'll have to see if my library has Rapunzel's Revenge. It sounds really good.